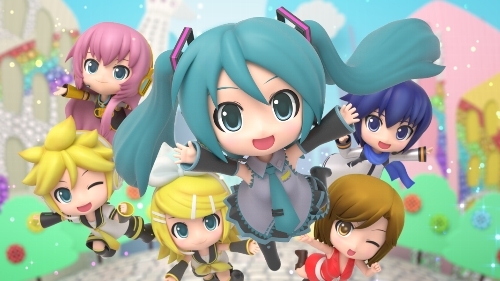 Vocaloid fans rejoice as Hatsune Miku: Project Mirai DX is now set for release on the Nintendo 3DS this May. Hatsune Miku: Project Mirai DX is an enhanced version of the Japan-only Project Mirai 2 released last November. Unlike previous Hatsune Miku games on the PlayStation platform (Playstation Portable, PlayStation Vita, PlayStation 3), Project Mirai has the cute, SD versions of the Vocaloid cast which borrow of figure manufacturer Good Smile Company’s Nendoroid line :D.
The game will launch in North America on May 26, Japan and Korea on May 28, and the EU on May 29.